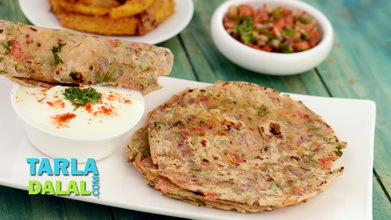 Everyone loves the traditional aloo ka Paratha and a lot of us thoroughly enjoy the occasional Gobi ka Paratha. 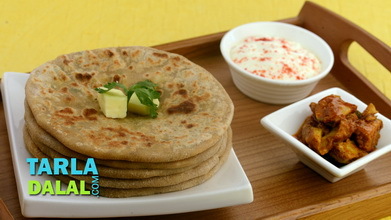 The Punjabis in their ingenious way have invented this delectable combination that everyone can enjoy. 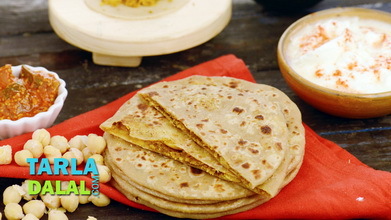 Boiled and mashed aloo and Gobi are combined with the essential Punjabi masalas to create this wonderful Punjabi Paratha. 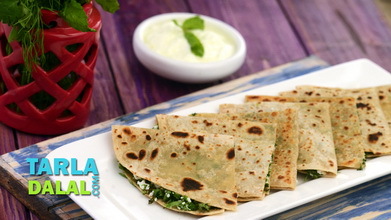 Using whole wheat flour instead of plain flour or Maida makes this Parathas healthy and tasty. 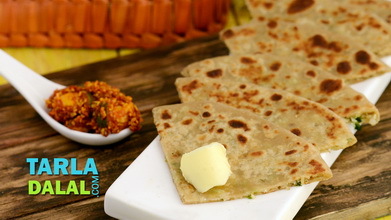 Only a little oil has been used to cook the Parathas but for those of you who want experience Punjabi food in all its glory, adding a dollop of ghee or fresh home-made butter would be a great option! When the seeds crackle, add the ginger-green chilli paste and cauliflower and sauté on a medium flame for 2 to 3 minutes. 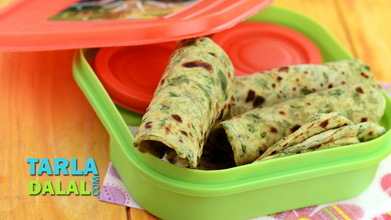 Add the coriander powder, turmeric powder, chaat masala and salt, mix well and cook on a medium flame for 1 minute, while stirring occasionally. Add the potatoes, mix well and cook on a medium flame for 1 minute, while stirring occasionally. Keep aside to cool slightly. Add oil to the dough and knead well. 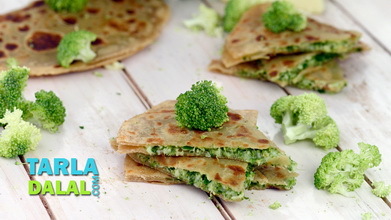 Divide the dough into 6 equal portions and keep aside. Divide the aloo gobi stuffing into 6 equal portions and keep aside. Roll a portion of the dough into a 100 mm. (4") diameter circle using a little whole wheat flour for rolling. 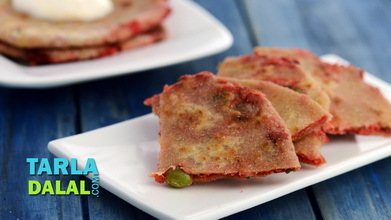 Place one portion of the aloo gobi stuffing in the centre, bring together all the sides in the centre and seal it tightly. Roll out again into a 125 mm. (5") diameter circle using a little whole wheat flour. 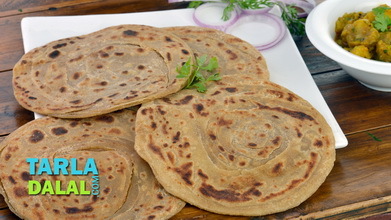 Heat a non-stick tava (griddle) and cook the paratha on a medium flame, using a little oil, till golden brown spots appear on both the sides.